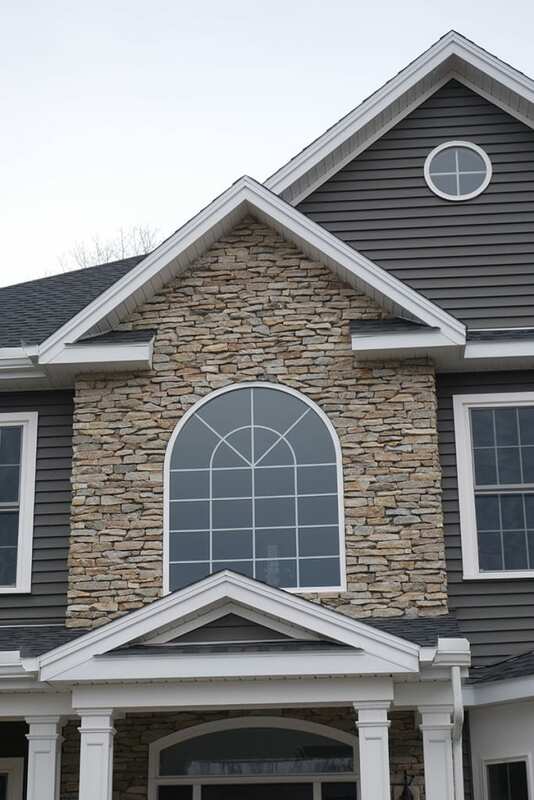 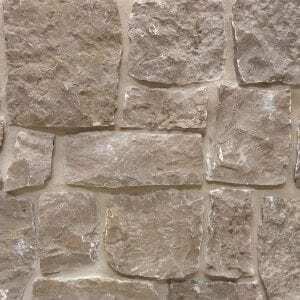 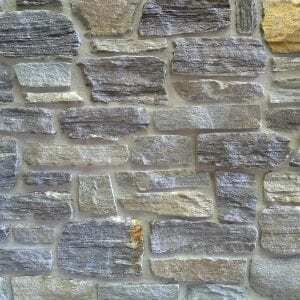 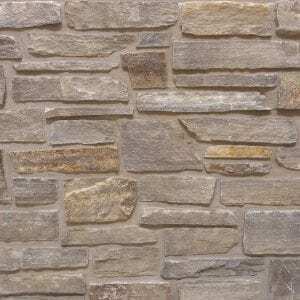 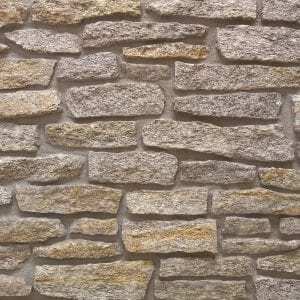 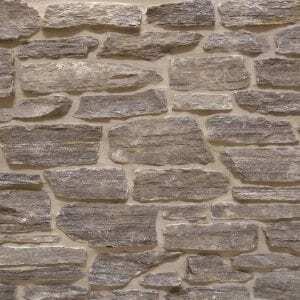 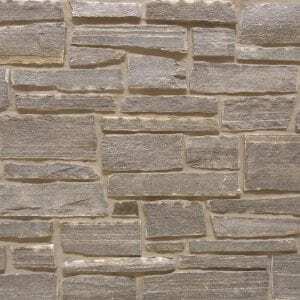 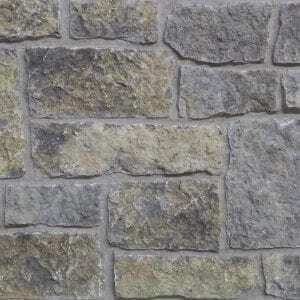 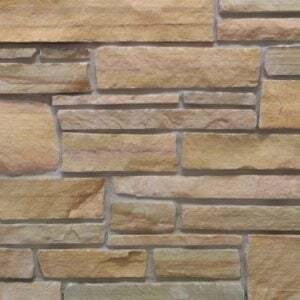 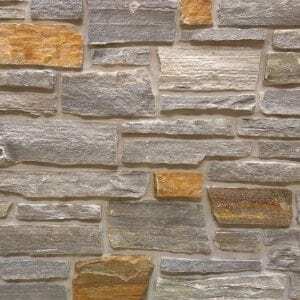 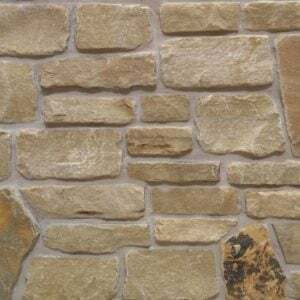 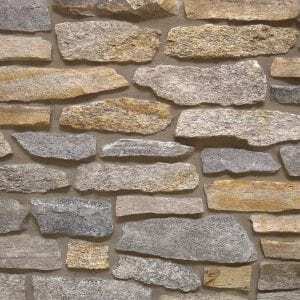 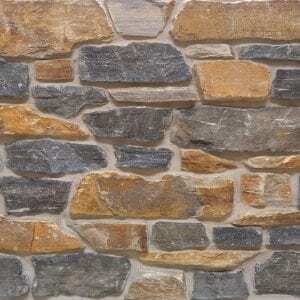 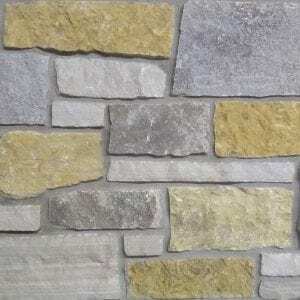 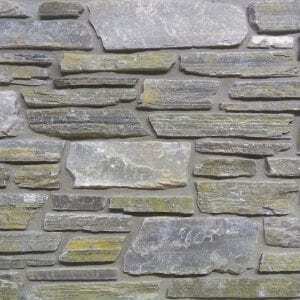 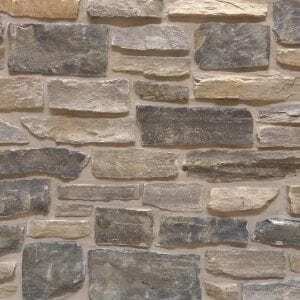 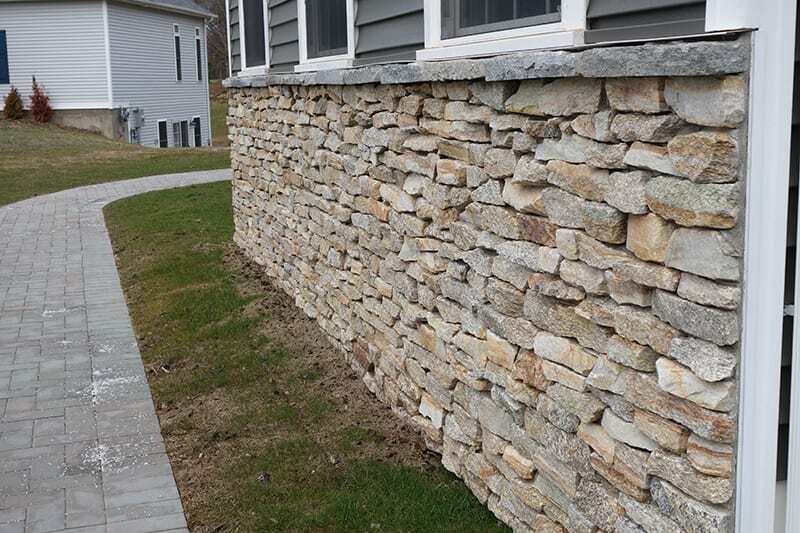 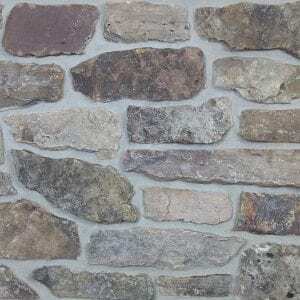 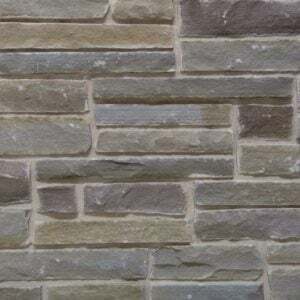 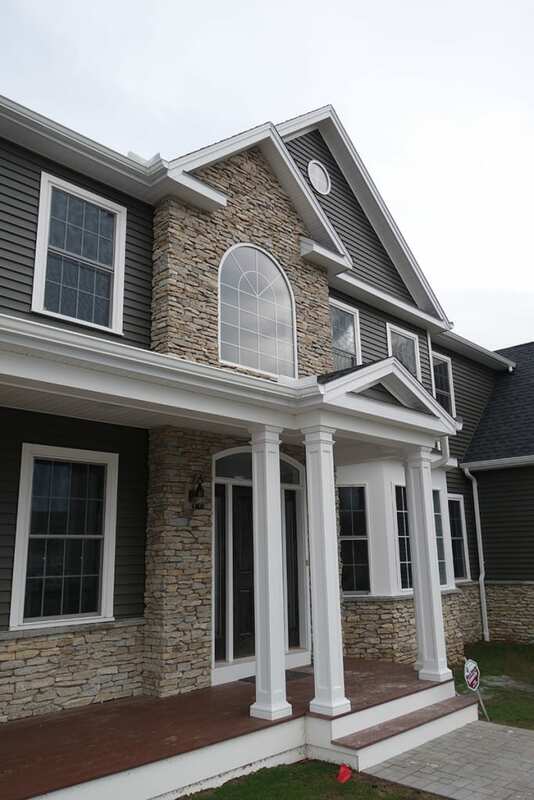 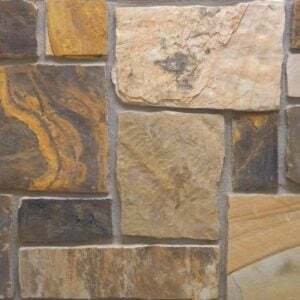 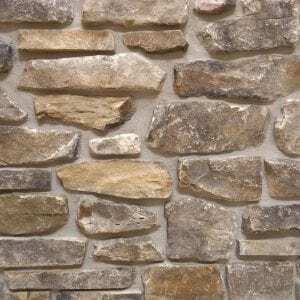 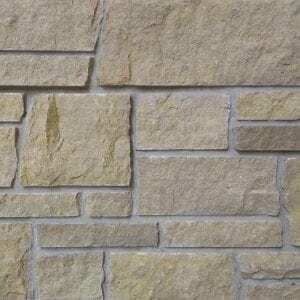 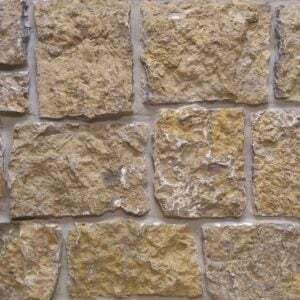 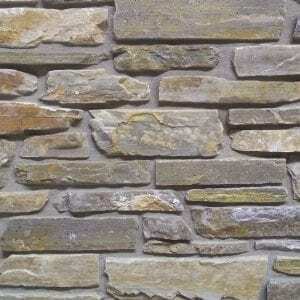 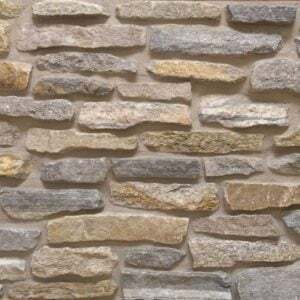 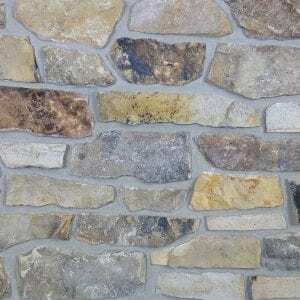 Alexandria is a low height ledgestone. 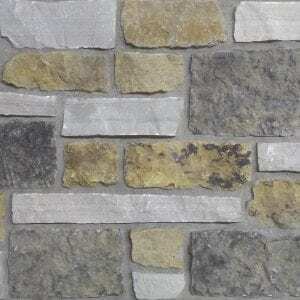 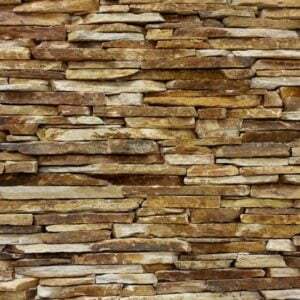 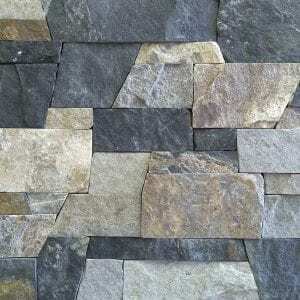 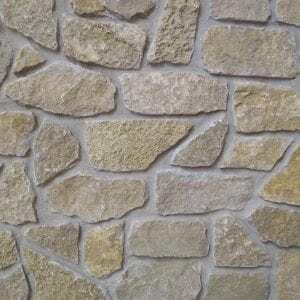 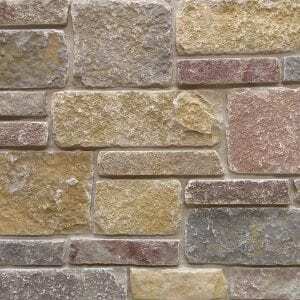 The stones range from approximately 1″-5″ in height and are laid in a linear pattern. 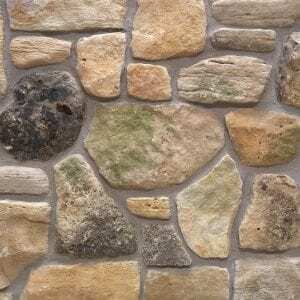 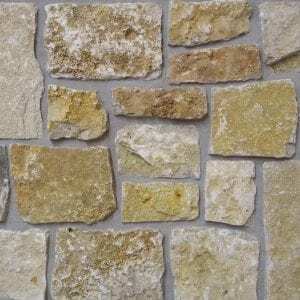 The individual pieces of stone provide a rustic yet contemporary look. 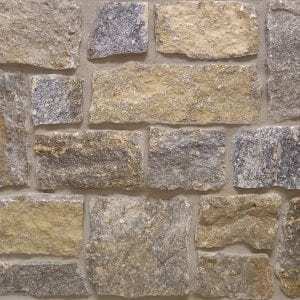 The pieces have a unique speckled appearance and naturally rough texture. 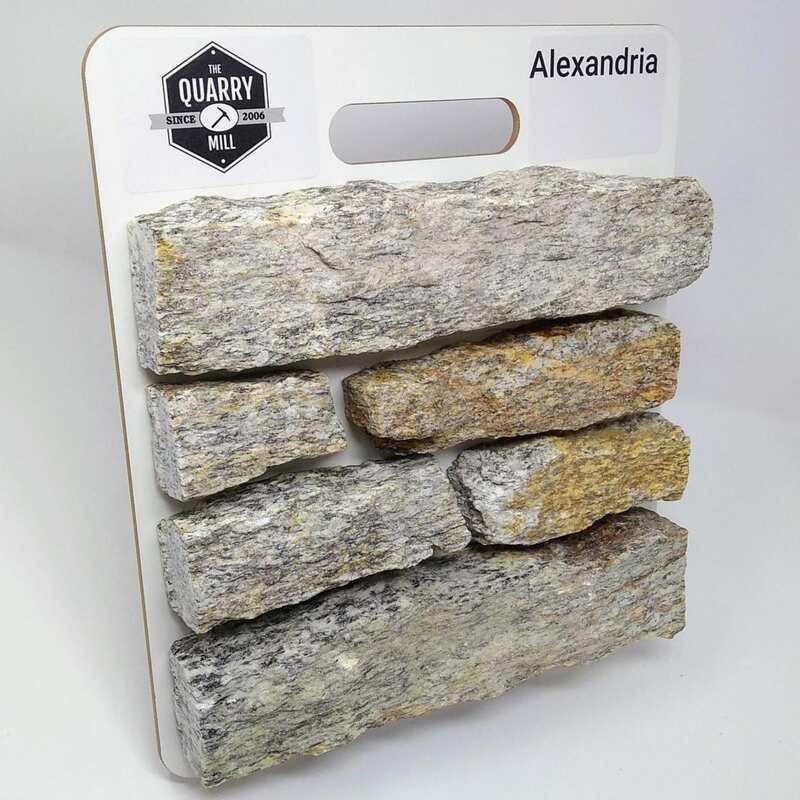 Alexandria showcases the interior part of the stone and has been split with a hydraulic press. 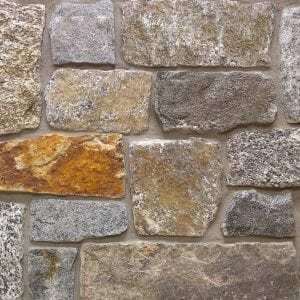 The colors vary from whites and tans to the occasional brown. 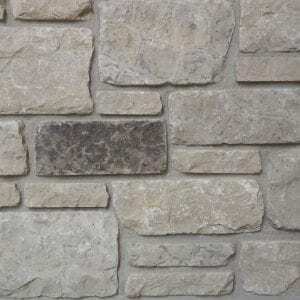 Alexandria can be installed with the standard half inch mortar joint (shown) or the pieces can be drystacked (tight fit installation). 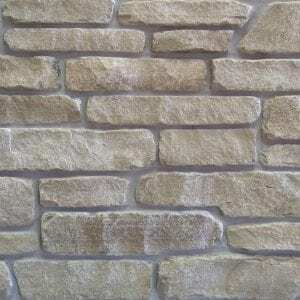 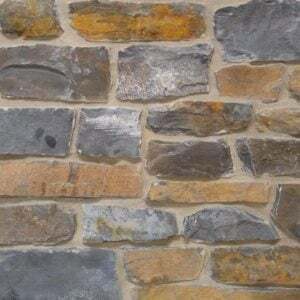 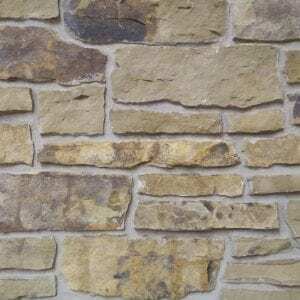 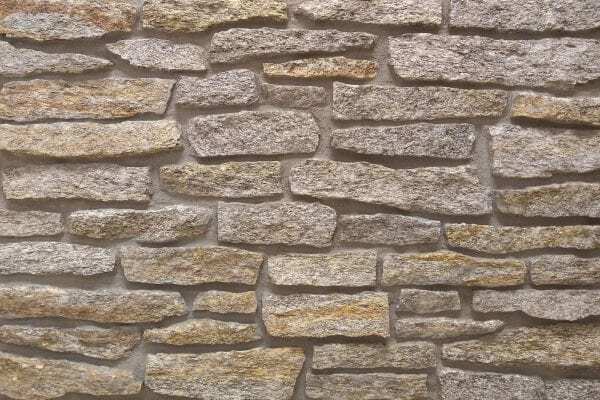 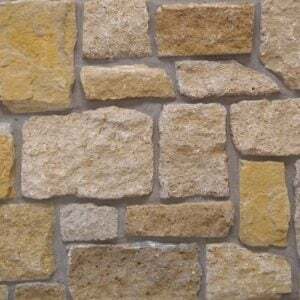 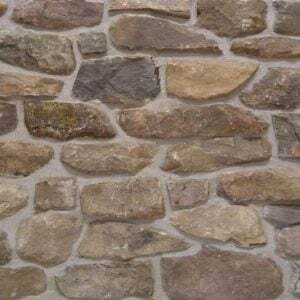 With a drystack installation you can expect both the mason’s cost and waste factor (due to fitting the stones together) to increase substantially.